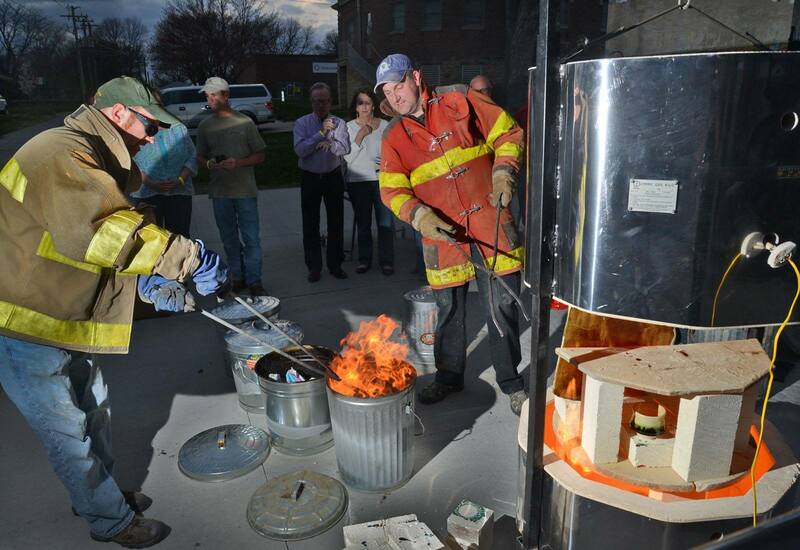 There’s plenty of fun to be had in Winterset this weekend if you know where to look. On Friday evening, First United Methodist Church is hosting their annual Ice Cream Social at 309 E. Jefferson. They’ll be serving homemade ice cream in a variety of flavors, with toppings, pies and bars, starting at 5:30 for a free-will offering. All are welcome! 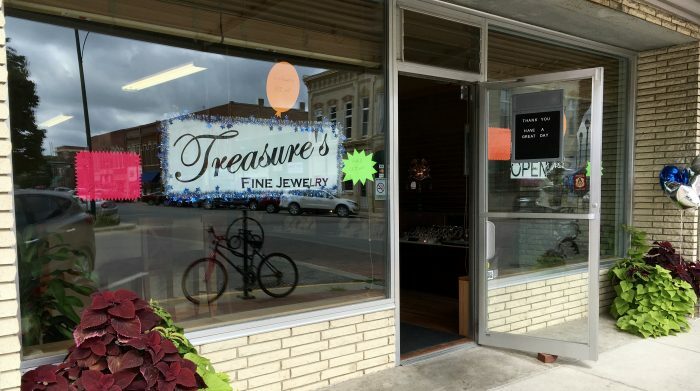 Treasures Fine Jewelry is a new business on the west side of the Winterset square, now open in the former Lowe Chiropractic office location at 124 N. 1st Avenue. They will be celebrating their Grand Opening on Friday (9:00 to 5:00) and Saturday (9:00 to 3:00), and they’ll have 25% off sterling silver, 10% off gold, a registration to win a $100 gift certificate, and refreshments. Check it out! 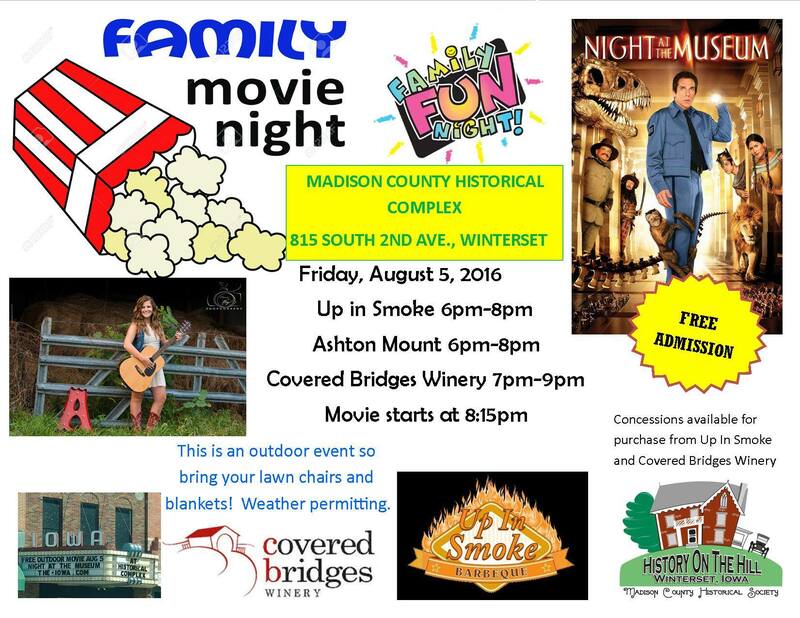 Bring a chair and a blanket and join The Iowa Theater on Friday evening for dinner, entertainment, and an outdoor presentation of the family-friendly movie, “Night at the Museum” at the Madison County Historical Complex. This event is free and open to the public of all ages. Visit the-iowa.com to learn about the restoration of the historic Iowa Theater, now under re-construction and aiming for re-opening in May of 2017. Runners and weightlifters, this Saturday, August 6th, is the 17th Annual Cannonball Pump & Run. This fun event combines running and weightlifting for a unique challenge and a great opportunity to prove yourself or beat your personal record. See this brochure for details and click this link to register online: www.GetMeRegistered.com/CannonballPumpandRun. 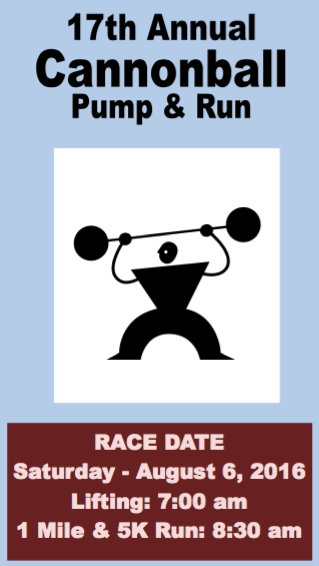 (If the registration link is closed by the time you click it, you can register in person on race day). Lifting begins at 7:00 am, and the 1 Mile & 5K Runs begin at 8:30 am. Pump & Run participants are required to bench press their body weight (or a percent of their body weight) as many times as possible, then run a mile or 5K. Each successful repetition of the bench press earns competitors 15 seconds off their mile or 5K finish time. This event is hosted by the Winterset Rotary Club, which in turn supports such projects as dictionaries for children, winter coats for kids in need, Birthdays in a Bag for families, the Rotary Hedge Maze, fresh water well projects in Africa, and eliminating Polio internationally for good. 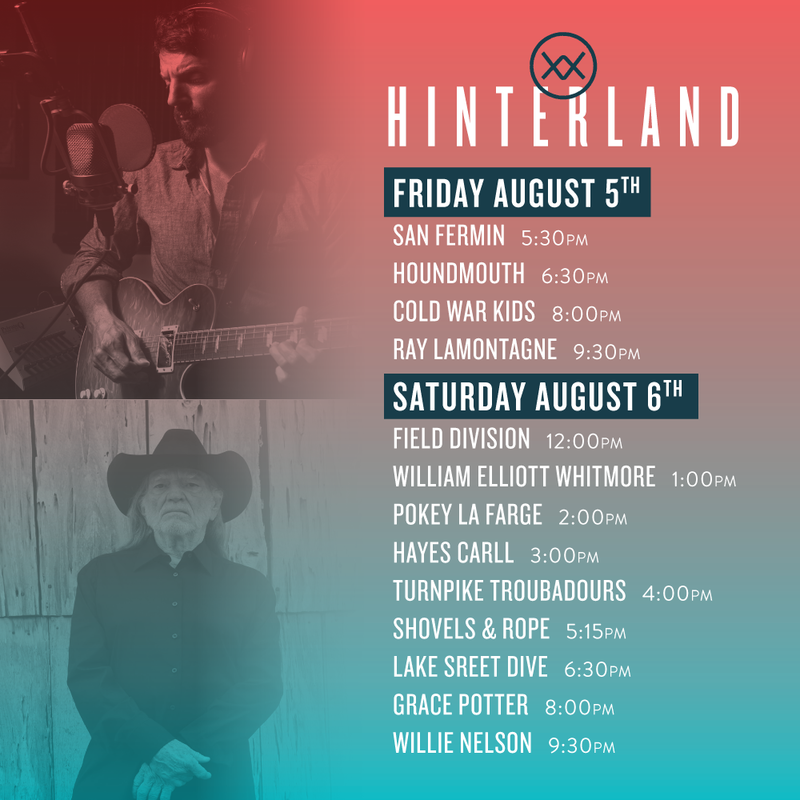 In nearby St. Charles, approximately 20,000 people will descend upon the Avenue of the Saints Amphitheater for The Hinterland Music Festival this Friday and Saturday. The two-day event will feature a blend of music, camping, art, craft vendors, and family events, with headliner Willie Nelson on Saturday. Find more information at http://hinterlandiowa.com, and camping information and passes at http://hinterlandiowa.com/camping/. 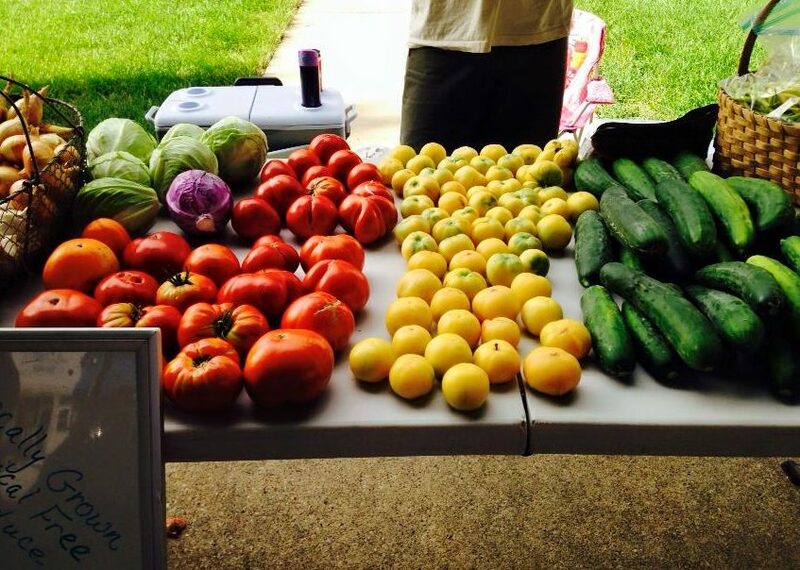 The farmers market on the square from 8:00 to noon on Saturday in Winterset will feature sweetcorn, tomatoes, and more. Last week I made my whole lunch from the bounty I brought home from the farmers market! 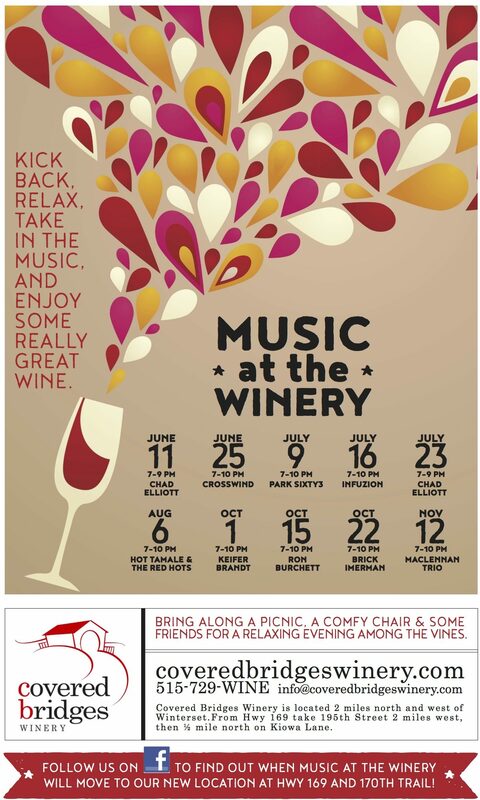 On Saturday evening, enjoy an outdoor concert by Hot Tamale & The Red Hots at Covered Bridges Winery from 7:00 to 10:00 pm. Next Saturday, August 13th at the Winterset Aquatic Center is the annual Dive-In Movie event hosted by the Winterset Park and Recreation Department and sponsored by Madison County Realty. They’ll be showing The Incredibles at 8:45 with free admission and popcorn. 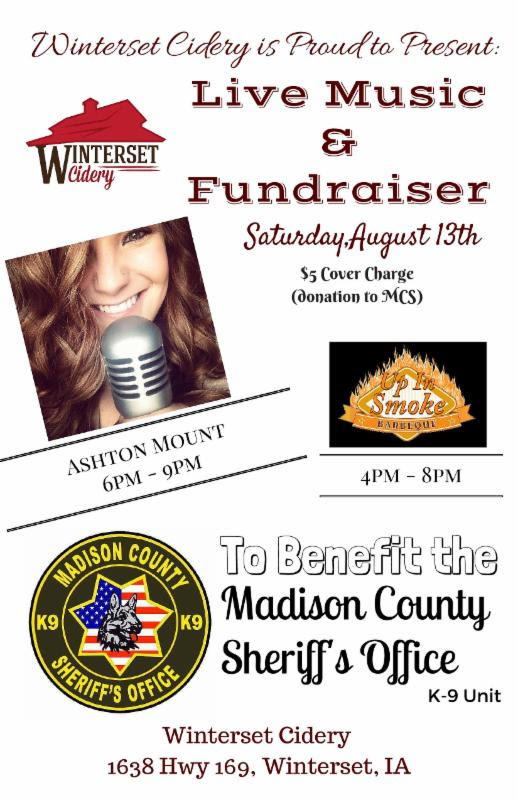 Also next Saturday, Winterset Cidery is hosting an event to benefit the Madison County Sherriff’s Office K-9 Unit with Up In Smoke barbecue and music by Ashton Mount. Finally, check out this beautiful photo taken by Tony Jacobson of Piece Works Quilt Shop! 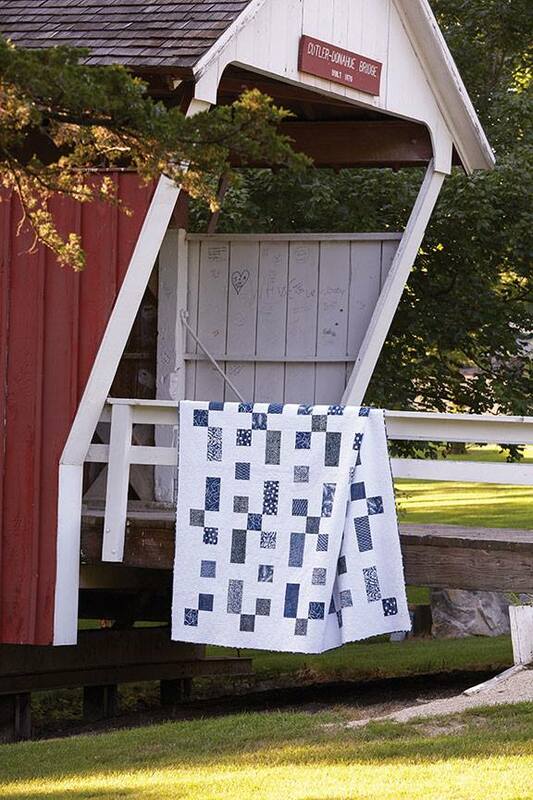 Tony said on the Piece Works Facebook page, “We are getting very close to having patterns written and printed for Joyce’s ‘My Blue Heaven’ quilt. I know there have been a lot of requests for this pattern and I’ve been slow getting it together, but we did a photo shoot on Tuesday night so I can now finalize the pattern.” Love it!